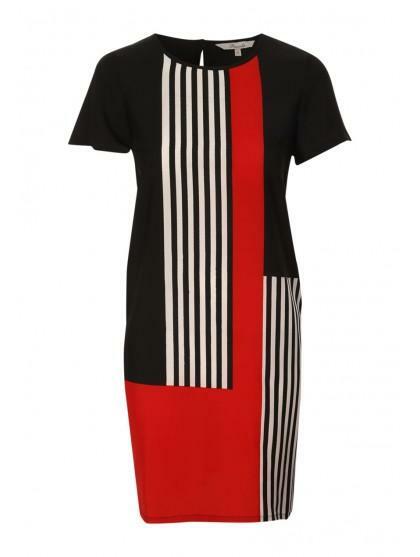 Stand out in the office in this women's short sleeve shift dress. 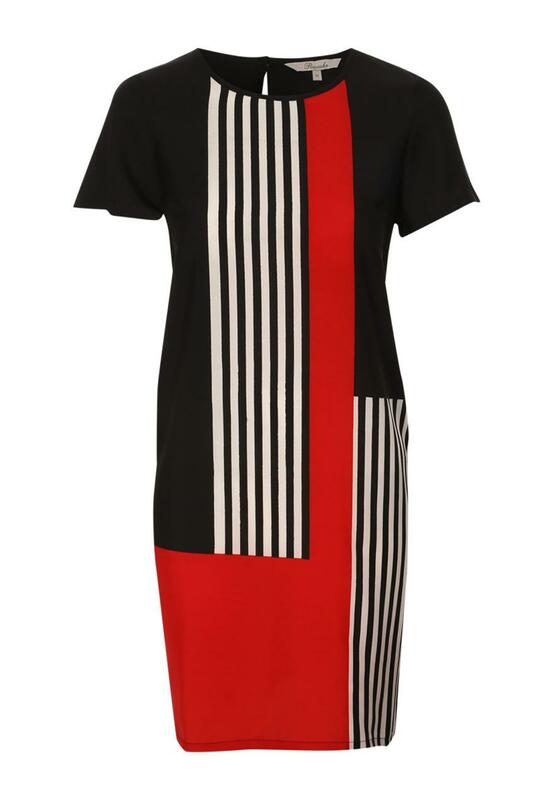 Featuring short sleeves, a crew neck and a button up neck, this gorgeous printed shift dress is great for adding a pop of colour to your work wardrobe. Team with tights, court shoes and a blazer for a smart but cool office look.